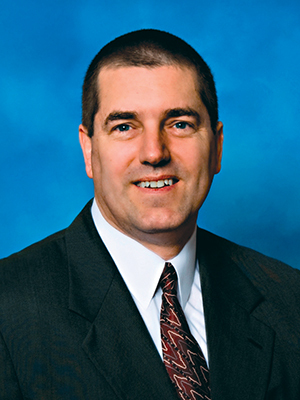 David Haynes, CLTC, is an independent insurance broker specializing in long-term care insurance planning. Contact David at 336-314-1698 or david@haynesltc.com. There is much truth in the above catch line isn’t there? How often we fail to follow through on the very things that could make such a difference in our lives and the loved ones around us. May 2019 help you reflect on where you are and what you’ve done to plan properly for retirement. So what are we talking about? Extended care is assistance provided to a loved one due to their inability to perform activities of daily living due to an illness, injury, or progressive or sudden or cognitive impairment such as dementia or Alzheimer’s. The words commonly used on the street are home care or nursing care. We begin to understand what all the buzz about long term care insurance is when we see a parent going through the process, only then to learn how expensive it can be. An event requires much more than time and availability from family members—it requires many dollars that some have, but most don’t. One typically does not plan for a long-term care event when accumulating assets for retirement. Let’s face it, we hope to live a long life—a happy, free life. But to be honest, we’re not planning to become ill or sick; and furthermore, we don’t want to admit it may happen to us. The fact of the matter is we need to secure a safety net of some type of coverage to protect against unforeseen dollars depleting our retirement plan should an event take place. For most, a long-term care policy is the best source. If you are the adult son or daughter and you are collecting information about future care for a parent, this resource guide in your hands offers tremendous ideas on how to plan, provide, and protect. Many of you reading this now consider yourselves young and healthy, with some reluctance of admitting you need to obtain coverage now, but this is the most appropriate time—when you are young and healthy. One of the most important retirement planning tools is a long-term care insurance policy. An unexpected event, whether it is an accident or an illness, can create a catastrophic financial setback to any retirement plan. If you are between the ages of 50 and 79, I encourage you to have this conversation as you begin the new year. Your hope is to never use such a policy; and if so, you hope it comes at a much later time in life. Unfortunately, postponing the purchase of a policy today may prevent you from qualifying for one later should your health become an underwriting concern. Many of you reading this article may have purchased a long-term care insurance policy many years ago only to learn that you have forgotten what you obtained. Below are helpful questions to ask your insurance company. All companies have policy service departments that can clearly discuss your plan with you. Keep in mind, they will typically only speak to the insured and/or a power of attorney. You will be asked your policy number, Social Security number and/or date of birth to confirm your identity. Keep good notes. When in doubt, ask again for clarification. Get all the facts by planning now, not reacting later. As part of your preparedness, ask the insurance company to send you a summary of your insurance policy as a document planning tool for later. Sharing this information with your family members today can ward off much confusion later. The following are the most common questions that people have asked me over the years, which are somewhat consistent with every policy design. Is my policy a cash plan or a reimbursement plan? Is my plan a daily benefit or monthly benefit? What is the current total “pool of dollars”? What is my elimination/waiting period and the maximum benefit period? Does the plan cover home care and facility care at the same payout? Are premiums waived at time of claim on a single policy or a joint policy? Is there a cost of living/inflation protection rider? If so, what is the percentage? If a joint policy, is there a transfer of benefits if a spouse dies? Is there an immediate cash benefit allowed at inception of claim? Will the elimination period begin if I need assistance in a rehabilitation facility even though Medicare may cover those charges? Is there a claims packet that I should obtain now? Is there an unintentional lapse designee recorded currently? Is there any life insurance attached to this policy? Are there any riders that are not applicable due to my age that I am still paying for? I have often seen many adult sons and daughters learn after the fact that a parent had such a policy in force, but this valuable policy was not shared with the family and in many cases, never used. Many dollars could have been provided to pay for care had they known a policy existed. Don’t let such an effective insurance planning tool be forgotten. Commit today to make this one of your first check off subjects of the new year. Also, one of the kindest compliments you can pay your friends is to share this article with them. Remember, this is as much about your family as it is you. If you have read to this point and are wondering if long term care insurance is something you should consider, then it probably is. The internet is loaded with material but a simple discussion with a qualified advisor may be your best option to a solution.